Shaun Walker, a 2009 member of the Troopers trumpet section, submitted this photo and caption. This is a photo taken by my mom who drove me to one of my first rehearsal camps of my drum corps experience. 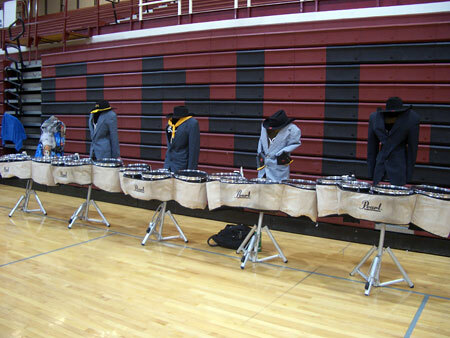 The Trooper tenor drum line decided they needed to have someone guard their drums during the night.